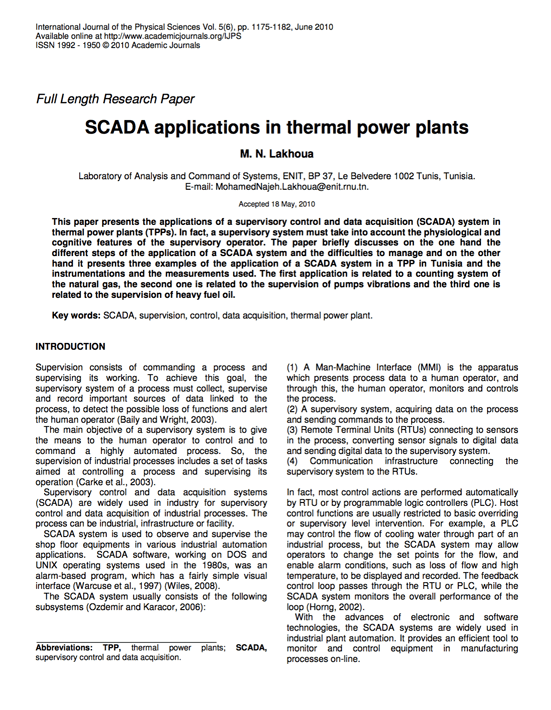 This paper presents the applications of a supervisory control and data acquisition (SCADA) system in thermal power plants (TPPs). In fact, a supervisory system must take into account the physiological and cognitive features of the supervisory operator. The paper briefly discusses on the one hand the different steps of the application of a SCADA system and the difficulties to manage and on the other hand it presents three examples of the application of a SCADA system in a TPP in Tunisia and the instrumentations and the measurements used. The first application is related to a counting system of the natural gas, the second one is related to the supervision of pumps vibrations and the third one is related to the supervision of heavy fuel oil. Supervision consists of commanding a process and supervising its working. To achieve this goal, the supervisory system of a process must collect, supervise and record important sources of data linked to the process, to detect the possible loss of functions and alert the human operator. The main objective of a supervisory system is to give the means to the human operator to control and to command a highly automated process. So, the supervision of industrial processes includes a set of tasks aimed at controlling a process and supervising its operation. 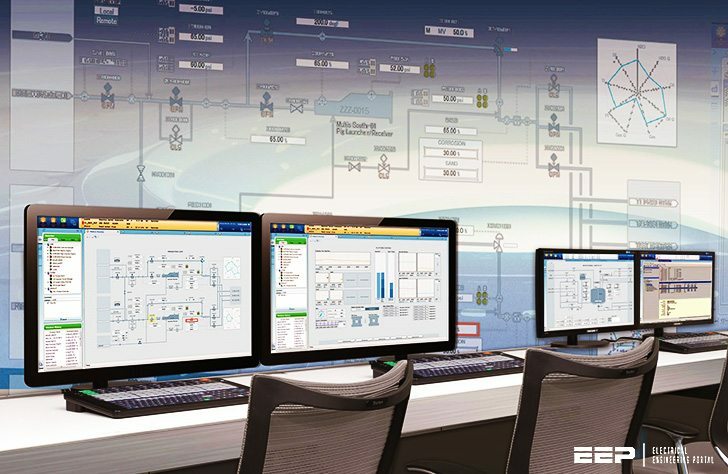 Supervisory control and data acquisition systems (SCADA) are widely used in industry for supervisory control and data acquisition of industrial processes. The process can be industrial, infrastructure or facility. SCADA system is used to observe and supervise the shop floor equipments in various industrial automation applications. SCADA software, working on DOS and UNIX operating systems used in the 1980s, was an alarm-based program, which has a fairly simple visual interface. A Man-Machine Interface (MMI) is the apparatus which presents process data to a human operator, and through this, the human operator, monitors and controls the process. A supervisory system, acquiring data on the process and sending commands to the process. Remote Terminal Units (RTUs) connecting to sensors in the process, converting sensor signals to digital data and sending digital data to the supervisory system. Communication infrastructure connecting the supervisory system to the RTUs. I wonder why I did not reach this presentation, earlier. Hope to place more comments after reading more publications.